Treatment options and help are available for people with HIV—and without immigration papers. Esther*, a 70-year-old German woman, arrived in the United States in 1986. She came with her husband on a temporary visa when his business sent him abroad. Four years later, Esther learned that her ​husband had AIDS and that she had contracted HIV from him. He died in 1992, leaving her in a country she wished to claim as her home, but in a state of legal limbo—unsure she could get care without being sent back. After the health insurance from Esther’s husband’s policy ran out, her doctor’s office in Hartford, Connecticut, was able to land her a new plan, thanks to the Social Security number U.S. Immigration had granted her upon entry. Until the ban on immigration for HIV-positive foreigners was lifted last year, Esther had little hope of securing the green card that would allow her to return to the states if she visited her daughter in Germany. So she decided to lie low, living off her husband’s pension, filing an American tax return every April. Ruben*, 25, was a medical resident in Juarez, Mexico, a violence-plagued border town close to El Paso, Texas, when he developed Kaposi’s sarcoma (KS) lesions a year ago. Terrified that the results of an HIV test performed at a local health facility would provide fodder for career-ending gossip, he got tested, confirming that he was positive, only after crossing the border. An AIDS service organization (ASO) in the United States directed Ruben to a public clinic. Public funds paid for his HIV medications and treatment—treatment that Ruben feels has been superior to what he could get in Mexico. Because he has no income, he qualifies for the hospital’s discount program, which covers chemotherapy to treat his KS. While exact numbers of undocumented immigrants living with HIV are inherently elusive—undocumented immigrants have to travel under the radar—some ASOs and public clinics in areas with heavy immigrant populations report that a significant percentage of their HIV-positive clients are undocumented. Many such clients, they say, are from Latin America, the Caribbean and sub-Saharan Africa. Providers who work with undocumented people say fear produces its own obstacles to their care. Frightened by the tides of anti-immigrant sentiment, many undocumented people are unsure whom to trust and feel wary of any services that seem connected with the larger American political system. They are often daunted by the expense of treatment and are unaware of possible avenues to health care coverage and social service organizations that can assist them along the way. “They think that if they go to a medical provider, their name will be given to deportation,” says Victor Martinez, a spokesman for Bienestar, an ASO with locations across Southern California. Martinez recalls one client who went to a clinic for treatment, only to flee when asked for proof of residence. She assumed they were asking for her immigration papers, when all they wanted was a utility bill to show she lived in the area. Language barriers can create additional problems. “If people don’t speak English, they [often] don’t feel empowered to ask questions,” Martinez says. Public health experts counter that there is not only a humanitarian obligation to care for people with HIV regardless of citizenship, but also a broader public health consideration. Studies suggest a correlation between lowered community viral loads and reduced new infection rates. This means we could help slow the spread of the virus by getting meds to the HIV-positive people—including undocumented immigrants—who need them. Undocumented people with HIV need to understand these rights. Advocates say the entire HIV community needs to help by fighting to maintain and expand them. 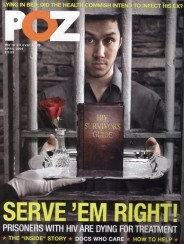 Ask your local AIDS service organization (ASO). Many can assign you a case manager who will help uncover the options available to you for HIV care and treatment. 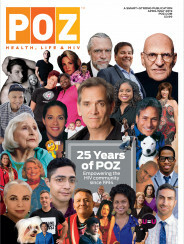 Find your local ASO at directory.poz.com. Even if you have no health insurance, funds are often available to pay for your health care. Ask your ASO case manager for information. Find a community health center (by asking at a local hospital). These public clinics are devoted to serving the health care needs of low-income members of their communities. Most have an open-door policy when it comes to a patient’s ability to pay. If they don’t ask, don’t offer. Many clinics never ask for proof of citizenship, so you need not mention it. Some may require you to live in the area; as proof, they might request a utility bill or just a letter from someone you live with. Know that health care workers are unlikely to report you to immigration authorities. Federal laws discourage anyone in a health care setting from revealing patients’ confidential information. While immigration status is not necessarily covered by this, most providers won’t divulge your information. Your best bet is a community clinic, where your health care needs are most likely to take priority over any interest in your immigration status. Request a translator. Federal law requires health care facilities that receive any Medicaid or Medicare funds to provide translators. Since Arizona instituted its draconian immigration reform, numerous other states have tried to put copycat laws on their books. In June, Alabama passed legislation even more severe than Arizona’s, making it a crime, for example, to transport or enter into a lease with an undocumented individual. At press time, the Obama administration had moved to block the law. But the administration had its own policy problems: The federal Secure Communities program, which mandates that information on any arrestee be given not only to the FBI but also to the U.S. Immigration and Customs Enforcement (ICE), has been a target of widespread protests. For more details on how the issue of immigration reform affects the HIV population, and what you can do to advocate for fair immigration policies, click here. Paths to citizenship include political asylum due to persecution in your home country, sponsorship by a relative or employer and aid for victims of domestic violence or human trafficking. Organizations that can help you find free or low-cost legal representation include the HIV Law Project -(hivlawproject.org; 212.577.3001), National Lawyers Guild Immigration Project (nationalimmigrationproject.org; 617.227.9727), Immigration Equality (immigrationequality.org; 212.714.2904, 202.347.0002), ACLU Immigrants’ Rights Project (aclu.org/immigrants-rights; 212.549.2500), and American Immigration Lawyers Association (aila.org; 202.507.7600).